The Laziest Vegans in the World: Vegan Valentine's Day 2012! It's that time of year again and I'm back with my Valentine's Day picks. You still have 11 days to get your loved one some sweets. And if you don't have a honey, don't forget about your Moms! She misses you and wishes you would stop by more often. Sweet & Sara Chocolate Dipped Strawberry Marshmallow Hearts. 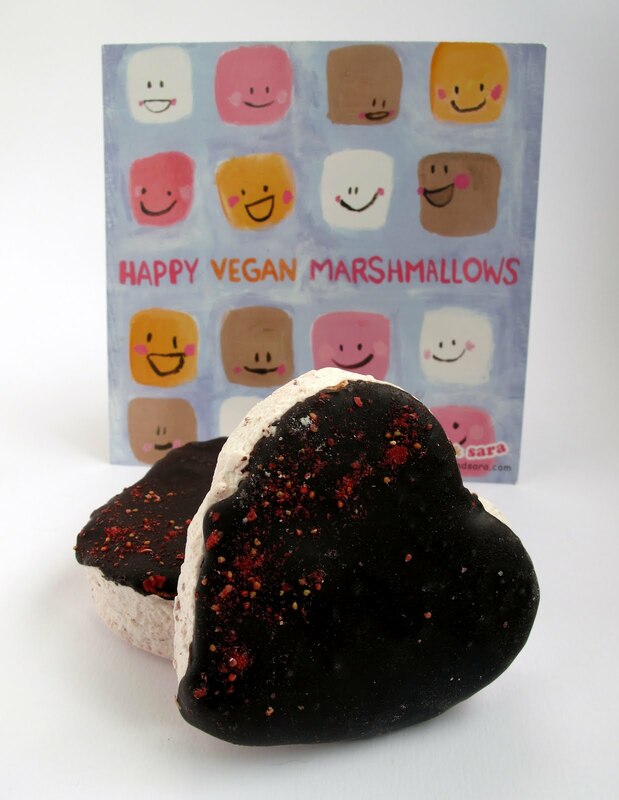 Sara is back with her Strawberry Marshmallow Hearts, but this time they are HUGE! Buy at least two so you can eat one. And buy me a pb smore while you are at it. Obsessive Confection Disorder I Lubz U Sampler. 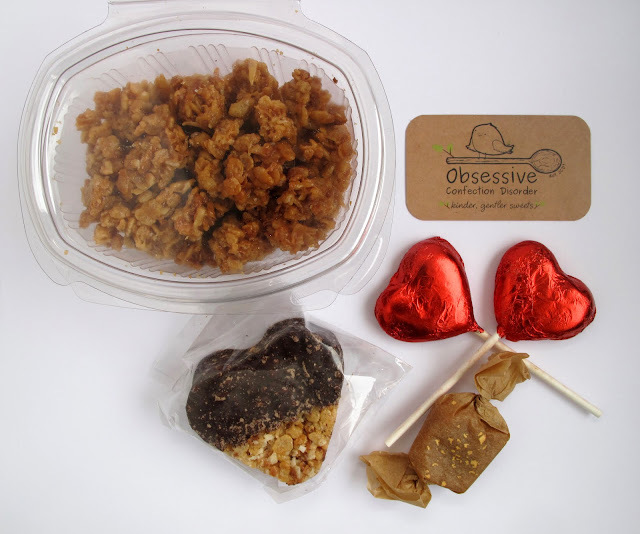 This cute sampler from Obsessive Confection Disorder is the real deal. You get the Hippy Dippy Crispy Treats, Rose Caramel, Vanilla Bean Caramel and Caramel Not Corn. All of that PLUS 25% of the proceeds goes to Animal Rescue Corps. Shockingly it's only $20. The caramels have gold leaf, people! 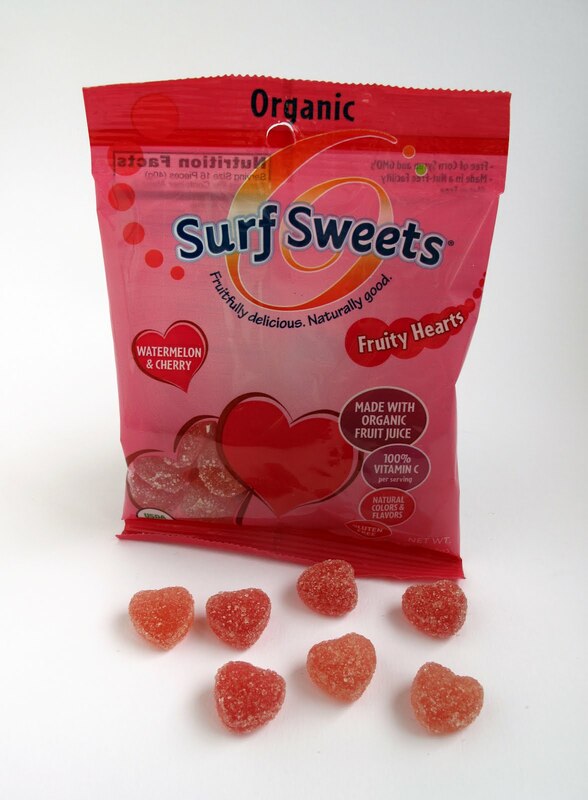 The chocolate heart here is made of toffee and crisp rice and the red heart lollypops are hard toffee, perfect for sucking on. 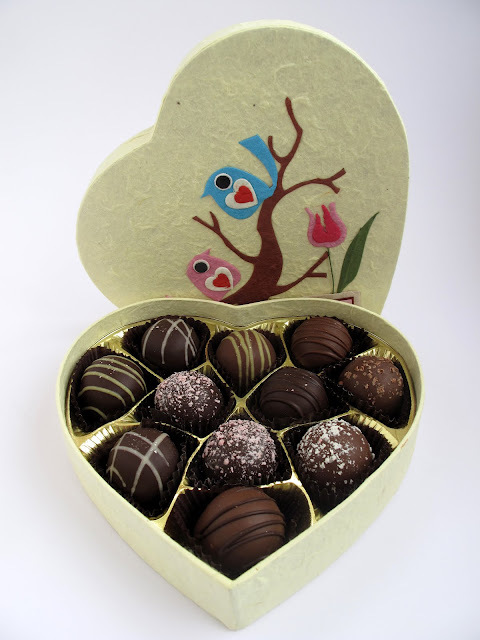 Sjaak's Valentine's Day Organic Vegan Truffle Assortment Birdie Box. Once again, I have a Sjakk's box of candies in my V-Day arsenal. This years variety of truffles: Vegan Milk Hazelnut, Dark Chocolate, Vegan Milk Cappuccino, Vegan Milk Pecan Cinnamon, Dark Pistachio, Vegan Milk Almond, Dark Orange Mate, Dark Coconut & Ginger and Dark Cherry. 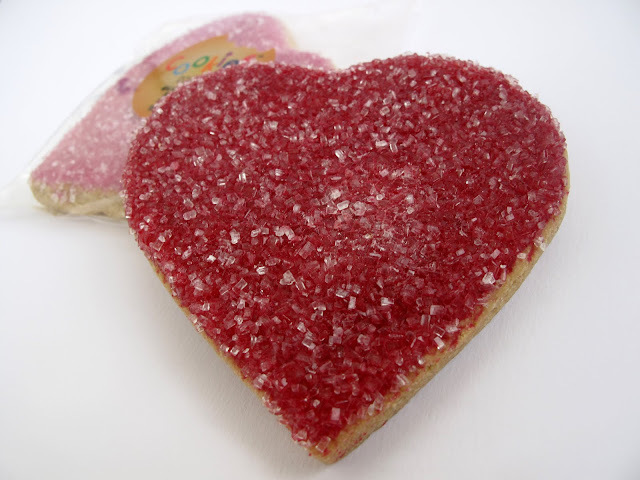 Cookies for Me Valentine Heart Iced Vegan Sugar Cookies. I haven't had a real sugar cookie in FOREVER, so I was ecstatic that these were so good. If you miss those yummy sugar cookies you grew up with, these are it. The birdie box is adorable!